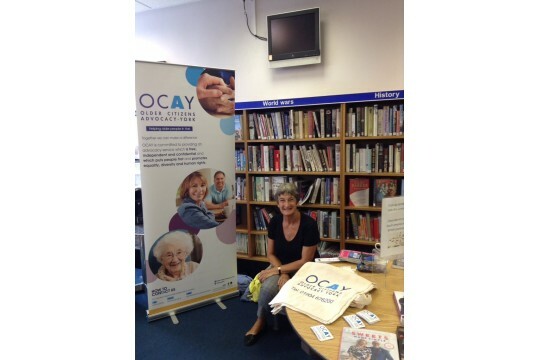 OCAY is a small charity dedicated to improving the social wellbeing of the City of York's residents aged 50 and over. OCAY was established in 2001 with the core aim of giving a voice to the older people of York. We provide a free and independent advocacy service. We support older people to achieve empowerment and equality by ensuring that older people aged 50+ have a voice in any issues that concern them and that their voice is heard with the support of an independent advocate. Our organisation benefits the community by assisting individuals to resolve issues that have caused them a great deal of anguish. Our service contributes to reducing social isolation and loneliness by developing older people's self confidence and skills. We help them to achieve their goals and to feel they can make a contribution in society again. We help to relieve poverty by supporting older people aged 50+ to claim benefits to which they are entitled.